If Creation is concluded with rest, in the cyclical nature of life it also means that Creation starts with rest. Although this statement might first sound conflicting with our title here, but let me guide you through some events that made me think so, as I was going through my vast collection of pictures that encapsulate memories of my adventures with rosemary. The article was originally written for and published in the issue 2018/4 of Aromatika Magazin, an online publication in Hungary to support holistic living, the practice and professional education of aromatherapy, phytotherapy, naturopathy and related subjects. 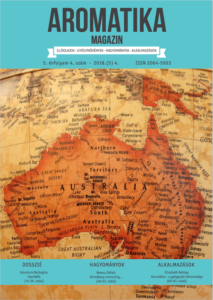 My special thanks and gratitude goes to Gergely Hollódi, editor-in-chief of this beautifully constructed aromatherapy periodical, for his always encouraging support. Hope you enjoy the English version in this post. The original copy of the electronic magazine in Hungarian is available for download from the website of Aromatika Magazin. First al all, let me tell you a few words about creativity, hence rosemary has a lot to do with that. No wonder, every time I am about to focus on writing or that sort of work that requires my full attention, I tend to use its essential oil diffusing it in the room to boost my brain functions and let all inner doorways wide open to welcome soaring creativity in. Then, just to give you the full recipe, I must unveil that the creative power is there in all of us! It is just a general illness in mankind, that we deny that. The whys are a bit complex and I am not going down that road now, enough to say that you’d better trust me. If you have not started investigating where your creativity hides and unfold the infinite surprising aspects of creativity, please kickoff now! In case you decide to carry on repeating your old mantra to yourself about how much you lack any sort of creativity, well, I understand that. It is all right, and from the bottom of my heart I wish you move on with your self-discovery whenever you get there, hopefully real soon! Just because I love numbers, let them speak a bit here. Until now, I distilled about 20 different plants in the last couple of years, out of which distilling rosemary itself more often than any others, 7 magical times. 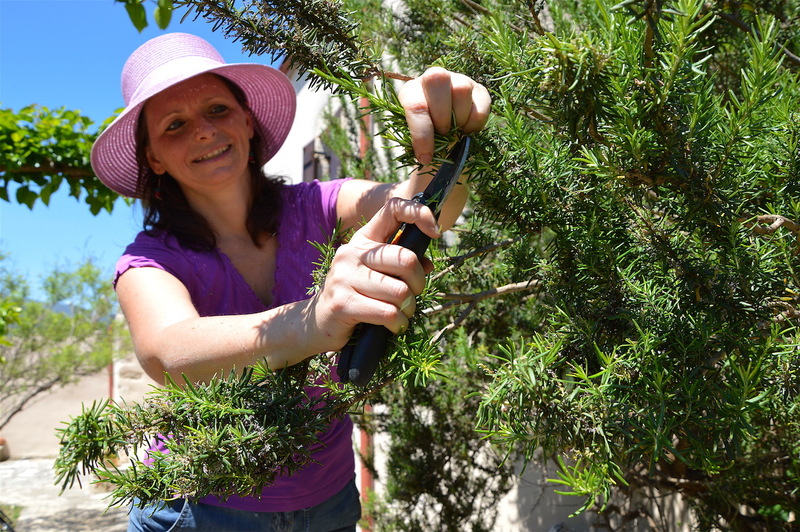 That means as many harvests too, although it also happened a few times that plants just came to me without touching my secateurs, whenever friends decided to prune their bushes. 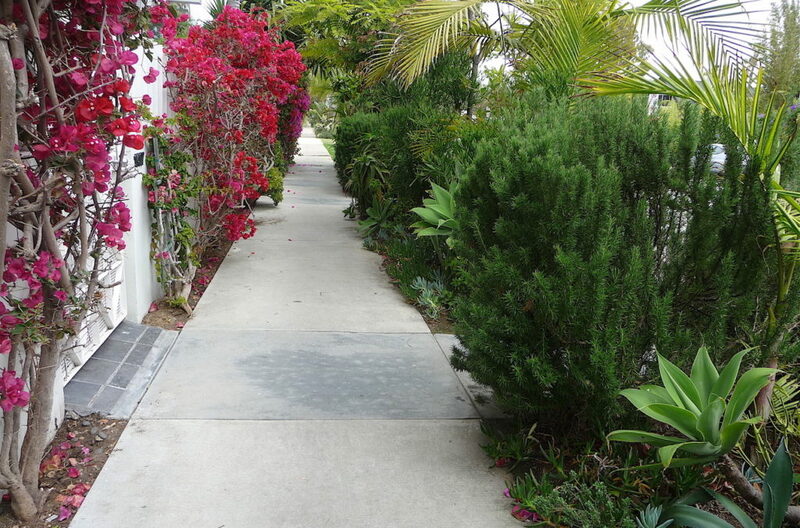 Sometimes, these pre-cut plants were left outside my door and I had to figure out who dropped them there. If I did not know the source or exact location, or if I got to learn they were from a busy roadside, I just did not process them. At this stage of my herbal path, as an artisan distiller, I prefer to hold hands with the plants and accompany them all the way from the field to my distillery, as they would take care of me with their spirit, from there on and beyond. So can I make conclusions out of such an amount of work? Certainly, I have experienced and learnt already a lot that would be enough to make some statements. However, there has been so many variable factors with each and every process, that at this point, it would not be more credible than any mainstream news headlines picking one moment in time. While neither the time nor the format is suitable for going down that road, it is worth mentioning some of the demonstrative circumstances and interesting observations. 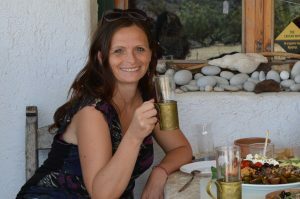 For the first rosemary distillation in October 2016, I got invited to the garden of my dear friend and mentor Susse Marianna Smedes from the House of Healing. 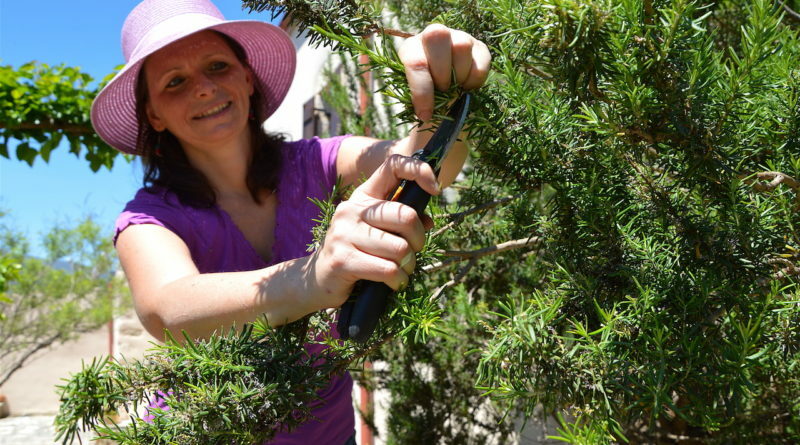 Her giant rosemary bush in fantastic light blue blossoms were guarded by angels and grew over two meters high, so they needed a rejuvenating cut. On this bright warm morning I finished my harvest within about an hour. 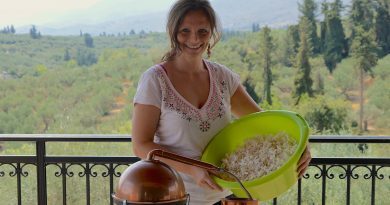 I was heading back home with my abundant basket to share the joy of the fresh jackpot and the excitement of distillation, and continue the day with my two Greek friends Christina and Stella. We used a very small 2l cauldron at that time, which took us a couple of shifts to finish processing all the fresh material by around midnight. How much oil we got? I cannot tell you exactly, because the hot-blooded Mediterranean ladies instantly distributed the finished distillate between us, 300 ml of hydrolat for each, and so what came with it randomly. In my jar, there was so little essential oil floating on top of the aromatic water that I just did not try to separate them. To tell you the truth, I was not even that well equipped at a time, yet simply taking the joy in doing what we did, every single moment of our own creativity, and just happy bearing the fruits of the fragrant work itself. 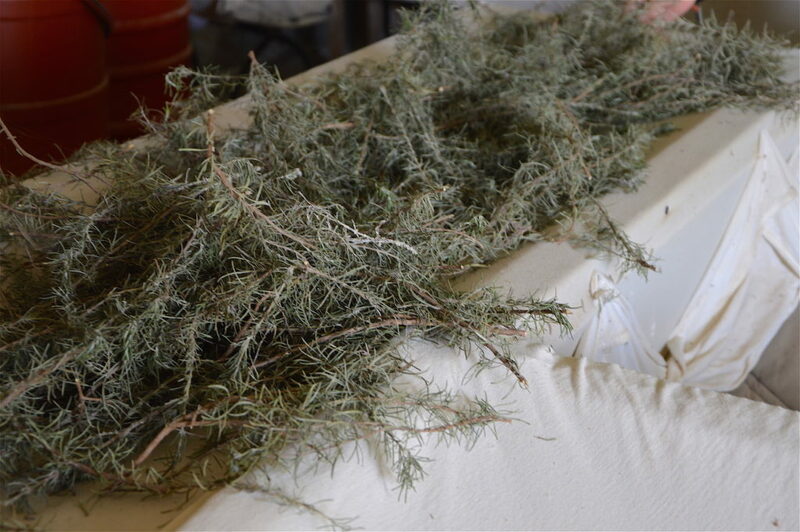 I returned to the gardens of House of Healing many times, while another large part of the rosemary I distilled was born and grown at the The Lavender Way farm in Crete, where some of the old rosemary bushes bring beautiful white flowers, while most of them would come in blue. Although this scented sanctuary is mostly known by their amazing lavenders, but nowadays there is a growing nursery of young rosemary plants added to their circles. I mostly distill fresh plants right from the fields, but since both Gill (aka The Lavender Lady, see my post The Lavender Way: Growth of the Soul) and I are driven by curiosity with a researcher’s mind, some of the rosemary from their land got dried first and distilled then. 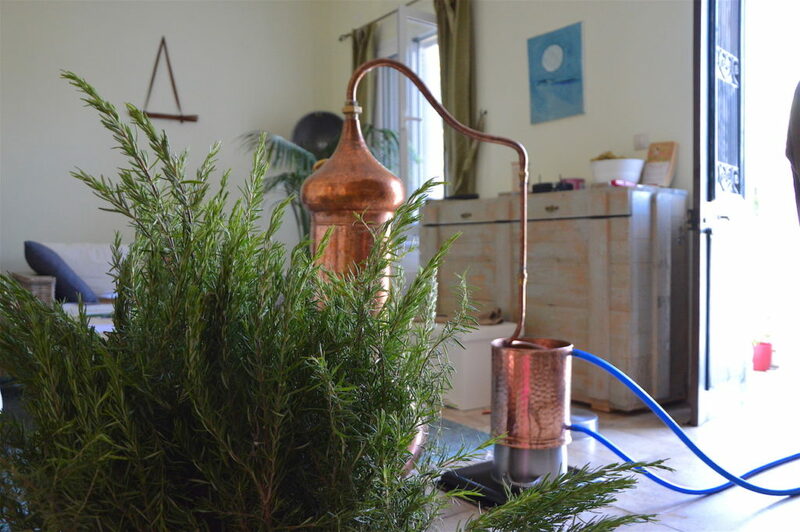 Some of my readers might already know that distilling plants fresh or dried brings different results. Distillation is such a complex subject, and the state of base material is just the very first crossroad to decide which way to go, as the outcome will be quite different accordingly. So as here for example, you tend to get more essential oil from distilling dried rosemary compared to distilling freshly picked material. In May, 2017, for instance I got a yield of about 40 ml essential oil from distilling roughly 2.5 kg of dried rosemary. Please note, it is not true for all aromatic plants however, as some are loosing the volatiles so fast, that you really need to distill them as soon as possible after picking. To make things more complicated, the next crossroad for a decision-making is the method, that is whether you do a steam-distillation, a water-distillation or a mixed one. This is a subject that many of us might not truly understand during our aromatherapy studies. Indeed, we might not even see how deep the well could be only looking at the shiny surface of the liquid inside. It is really best to find an opportunity and go for a field trip or a study tour where you have a chance to get closer to a real-life distillation. Not only that witnessing the processes is super exciting, but helps to get more understanding of everything. By this you will deepen your knowledge and develop more respect for the aromatic material you are working with, as well as an appreciation for both the plants and the human beings assisting them in giving the best of their true essences. 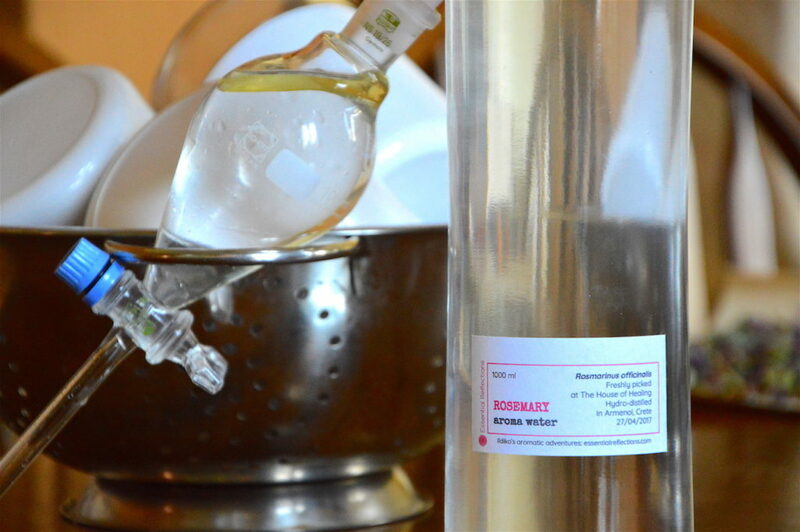 Now, as we look at the hydrosol, they tend to be more rich in water soluble aromatic molecules, and so much fragrant and potent when they are distilled a.) from fresh plants and b.) hydro-distillation method. Again, important to point out, there might be kind of general disciplines, but as usual, the real wisdom lies in the details and there are always ifs. Type of plant, part of the plant, area, circumstances, timing, distiller’s intention, targeted result, etc. Let’s see for example what happens with my dried rosemary. 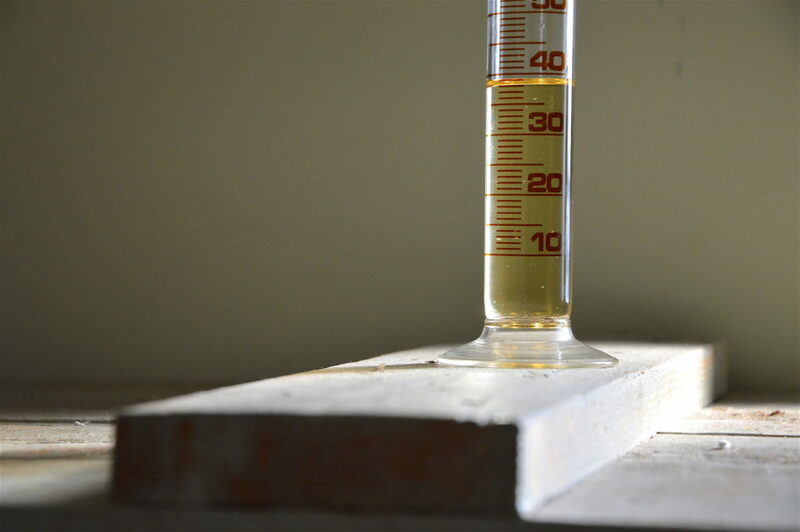 Supposedly, they would be ideal for a steam distillation that aims for a higher essential oil yield. Well, since I got more than enough plant material, I have two good arguments as to why rather do a mixed distillation, using both the spherical and top column part of the alembic distiller. That means putting some of the dried plant into the pot containing the water, and another part in the tower that will be treated by the uprising steam only. One of my reasoning is the plentiness of the material I have, while the other is that I expect to get the best of both worlds from the mixed distillation. A hydrosol that will be still richer, while the essential oil quantity might be more too. As most life situations, being a distiller keeps us trained in making decisions. And speaking of that, let me take a minute to bring your attention to something that all of us, users of essential oils and related products, should consider consciously and constantly. As an aromatherapy and holistic lifestyle ambassador, I belong to a small, but hopefully growing group of people. 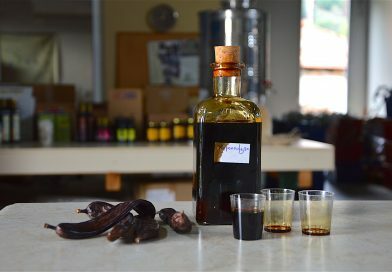 It is important to learn the classic lessons of “how to recognise authentic, high-quality, genuine essential oils and other natural ingredients” and I believe it is also imperative to go beyond tricky marketing slogans, to read between the lines and yet approach these questions with creative curiosity. And that of course includes studying labels, understanding ingredients, and also, going back to the roots and trying to look at actual background, concepts and intentions behind a shiny brand or product identity. Words and numbers are something we can easily play around with, but just as easy to either mis-use or mis-interpret them. Therefore, in this wealth of information, we need to develop our own filters and equip ourselves to the best of our knowledge in order to make the right choices. 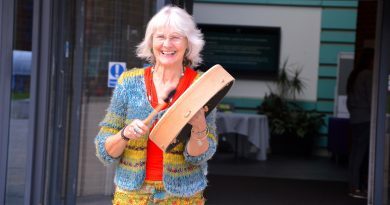 I regard this skilful choice as the base of a true holistic approach, where we can make the kind of decisions that serves us best both as individuals and as a collective. I am hopeful that leaving the nest of comfort, together with some of the tiny seeds of ideas that I randomly spread around here, will provide some nourishing and inspiring snacks to chew on. And before I let you go to carry on with life, I once more come back to the concept of creation and relaxation, and how rosemary brought inspiration to this. Well, I have another scientific example to pinch you one more time with some nicely smelling bonus needles. And that again is a demonstration of ‘depends on how we look at it’. 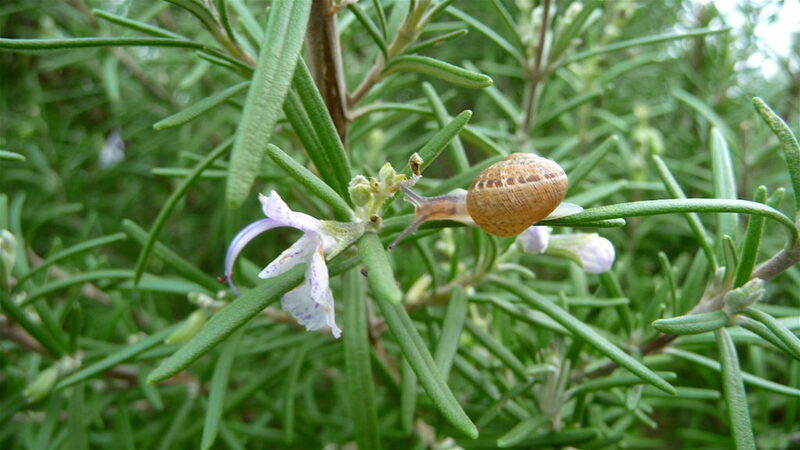 If I consult a herbal book written by Hungarian teachers on domestic plants, what I find is that rosemary is primarily an annual plant belonging to the mint family (Lamiaceae). 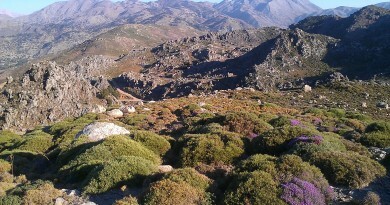 And yet, it is a perennial herb living happily throughout the year all around Crete. Perhaps it’s the more balanced temperature and climate conditions, and the higher number of sunny hours, perhaps the fertile soil nurturing the roots? There are obvious reasons at first glance, and beyond that, there are others we can search indefinitely. Because it is the spirit of the Seeker, the inspiring inner spark that brings us forward. And in search of the meaning of life and interpreting our findings, we have to take a content pose sometimes. To acknowledge the formidable nature of our human efforts and follow the Divine example in noticing the accomplishments. Have some well-deserved good rest after every new chapter. It’s best to get relaxed first, to keep focussed and carry on!